Chut HaM'shulash (NTCF), NRF, Above & Beyond would like to share with audiences everywhere, who desire to know more about our work and vision, and in particular about the Land of Israel from the perspective of those living in its Eternal Capital. If you or your group are interested, we can schedule presentations and lectures in your area, or speak with your tour group, when you next visit the Land. 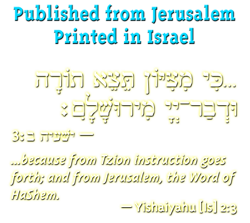 These presentations are particularly informative for those who have a love for Land, her people, and her Torah, and for those who wish to become informed about what G-d is doing in these precarious times. Contact us for more information at info@ntcf.org, and we'll be happy to further assist you in setting up a suitable venue. 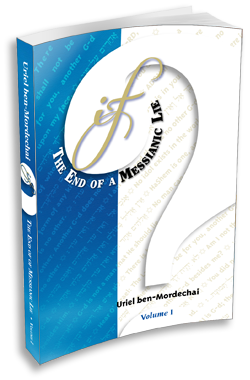 Using grammatical structure Uriel ben-Mordechai dispels the Christian and Messianic movement’s myth in Israel not succeed to pull the wool over Jewish eyes, in connection with the historic personality of Yeshua.